The Marfa City Council voted to re-establish a city police department Tuesday evening. The decision comes after nearly 8 years since the City last had its own department, and marks the end of Marfa’s agreement with the Presidio County Sheriff’s Office for dedicated deputies in the area. Part of the decision – which fell on a 3-2 council vote – rested on the failure of Sheriff’s Office to follow protocol. According to an open-records filed by city attorney Teresa Todd, the Presidio County Sheriff’s office failed to attend interviews with the Children’s Advocacy Center of the Big Bend. Normally, officers who handle cases of child abuse are required to be present for interviews. But records show, according to Todd, multiple instances throughout the years where the sheriff’s office didn’t attend these meetings. “It seemed like it was time to make a change and the council made the right decision,” Todd told Fox 24. Additionally, the decision comes amid increased contract costs with the county. When established in 2009, the agreement cost the city $87, 000, which went towards salaries and benefits of two full-time deputies, as well as fuel costs and other equipment. Todd says that cost ballooned to $180,000 recently in order to add another full time deputy. 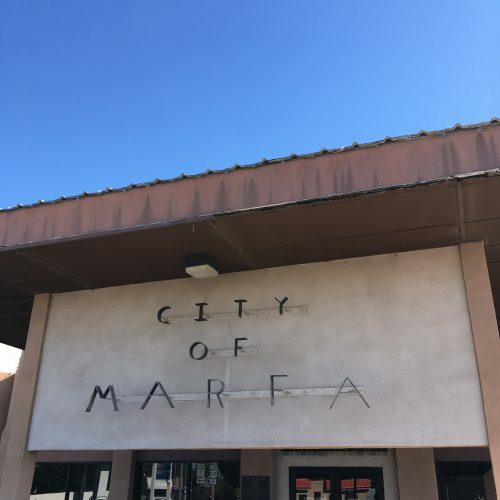 The council estimated for that cost, Marfa could add its own police chief, and full time officer and one part-time officer. But a vehicle would need to be purchased. County Sheriff Danny Dominguez – who was at the meeting — told Fox 24 that he felt the council’s decision was a “witch hunt” and called out questions he received about jail contracts. “Those are cowardly questions, in a cowardly way initiated by a cowardly person, but they did something the public would listen to,” Dominguez said. As the city works to re-establish its new force, the sheriff’s office will still provide law enforcement to the area as Marfa is in their jurisdiction. This entry was posted in KRTS News and tagged marfa police department, Presidio County, sheriff's office. Bookmark the permalink.